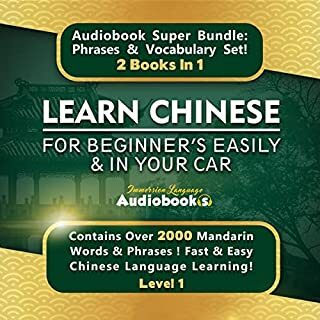 Learn Chinese for Beginners Easily and in Your Car Audiobook Super Bundle! Phrases and Vocabulary Set! 2 Books in 1: Over 2000 Mandarin Words and Phrases! Chinese is a beautiful language that is spoken by billions around the world! It is hard to find time to learn a new language however! Language courses at schools and colleges are routine and boring! Learn Chinese For Beginners Easily and in Your Car is perfect for people who have no other time to learn a new language! It contains over 2,000 common Mandarin phrases and words that will help you in everyday life and travel! It was amazing in every way and I loved it! I would recommend this method to any language learner. The Most Advanced Revolutionary Technique to Learn Lebanese Arabic Dialect! If your desire is to learn complicated grammatical rules or to speak perfectly proper and precise Arabic, this book is not for you. 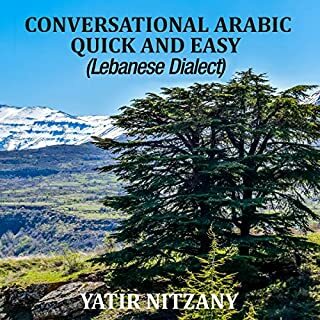 However, if you need to actually hold a conversation while on a trip to Lebanon, to impress that certain someone, or to be able to speak with your grandfather or grandmother as soon as possible, then the Nitzany Method is what you have been looking for. I have finally found a great language author to follow. Excellent set up and well developed for language learning. Would recommend this book to my friends who want to learn Lebanese Arabic.